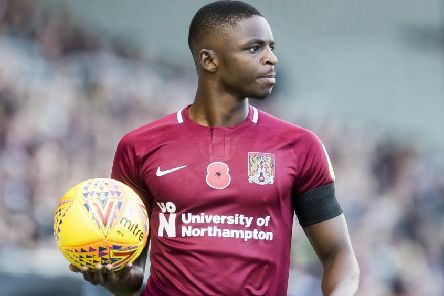 Defender Hakeem Odoffin believes he has plenty more to offer the Cobblers as an attacking force. 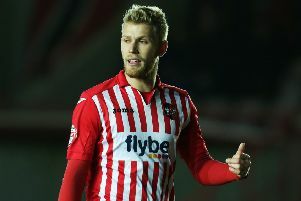 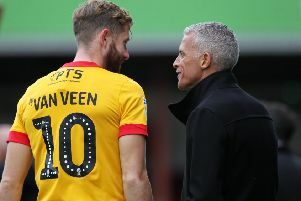 Keith Curle knows all about the attacking threats Exeter City possess, and has revealed he tried to sign their top-scorer Jayden Stockley when he was manager of Carlisle United. 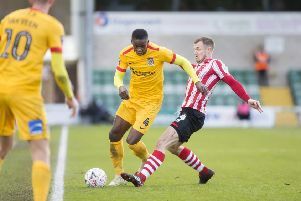 Hakeem Odoffin insists the FA Cup first round defeat at the hands of Lincoln City has not slowed the Cobblers’ momentum as they look to rise up the Sky Bet League Two table. 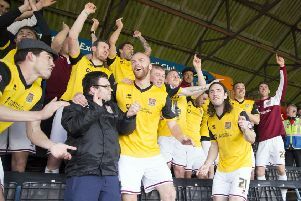 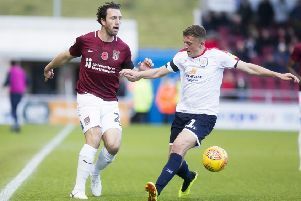 Boss Keith Curle believes the Cobblers fans are yet to see the best of top-scorer Kevin van Veen. 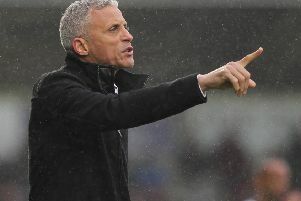 Boss Keith Curle is taking no notice of Exeter City’s poor run of form as he prepares his Cobblers players to face the Devon side at St James Park on Saturday (ko 3PM). 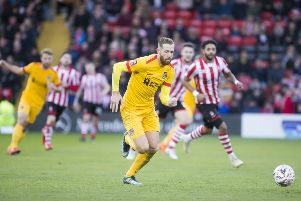 Striker Kevin van Veen has hailed the ‘amazing’ impact Keith Curle has had on the Cobblers squad since taking charge at the PTS Academy Stadium – and says the team will travel to Exeter City on Saturday ‘with confidence’. 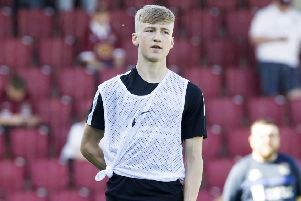 Cobblers Under-18s set up an FA Youth Cup third round tie at Premier League Academy side Arsenal with a comfortable 2-0 win over Swindon Town at the PTS Academy Stadium on Wednesday night. 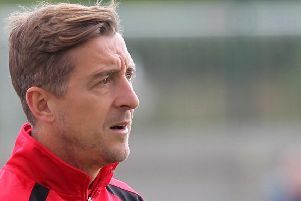 Boss Jon Brady is challenging his Under-18 players to take their ‘great opportunity’ and secure an FA Youth Cup second round win over Swindon Town at the PTS Academy Stadium on Wednesday night (ko 7pm). 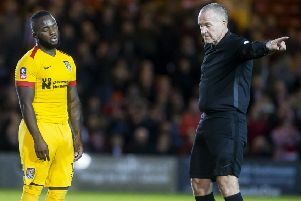 Cobblers boss Keith Curle has labelled Junior Morias’s sending-off in Saturday’s FA Cup first round defeat to Lincoln City as a moment of ‘stupidity’. 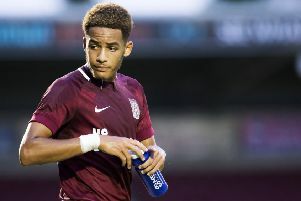 Cobblers Under-18s have been handed a huge incentive to win their FA Youth Cup second round tie at the PTS Academy next Wednesday night (ko 7pm). 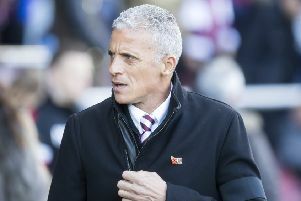 Some may believe the ‘magic of the FA Cup’ is fading in these days of the Premier League, Champions League and multi-millionaire footballers - but Cobblers boss Keith Curle isn’t one of them. 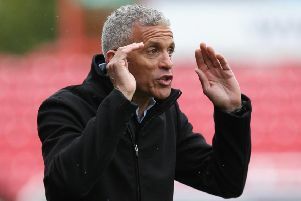 Keith Curle has warned his players they will face a testing afternoon on and off the pitch when they kick-off their FA Cup campaign with a first round trip to Lincoln City on Saturday (ko 3pm). 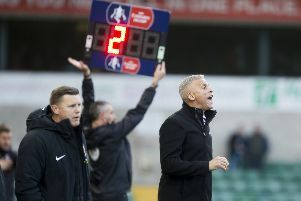 Keith Curle believes the season-opening encounter between the Cobblers and Lincoln City will have no bearing whatsoever on Saturday’s FA Cup first round tie between the clubs at Sincil Bank (3pm). 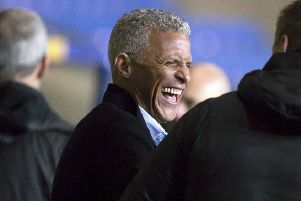 Keith Curle has missed out on winning the Sky Bet League Two manager of the month award for October. 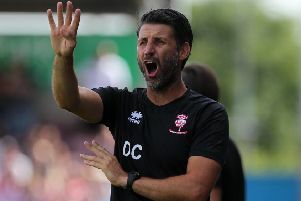 Lincoln City boss Danny Cowley has declared the Cobblers ‘one of the best teams we have played this season’ ahead of Saturday’s FA Cup first round clash between the clubs at Sincil Bank. 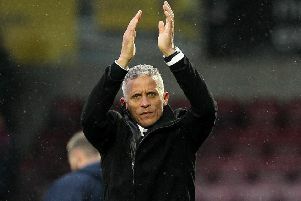 He may have only been in charge of the club for a matter of weeks, but Cobblers boss Keith Curle has been nominated for the Sky Bet League Two manager of the month award for October. 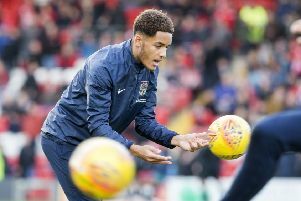 Cobblers Under-18s will once again take centre stage at the PTS Academy Stadium next week as they bid to progress into the third round of the FA Youth Cup.